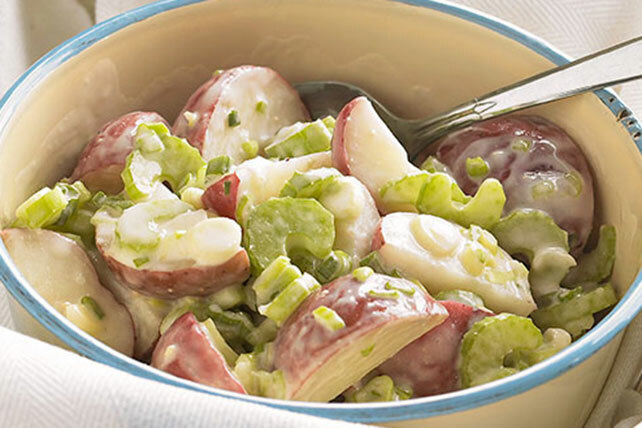 All will certainly hail this great Caesar Potato Salad with Bacon as one of the best—and also one of the easiest to prepare. Garnish with 1 tsp. chopped fresh chives.